Tuition and fees account for only 3 percent of our revenue. The majority comes to us through the generosity of individuals and family foundations. It is set at $1,400, but families pay an average of $350 per scholar, which is all they can afford. Our actual direct cost of educating each child is $11,000; adding SPC’s share of central office expenses brings our cost to $16,600. 75% of our scholars qualify for free or reduced-price lunch. They contribute 28% of our revenue. We get 64% of our revenue from individuals. 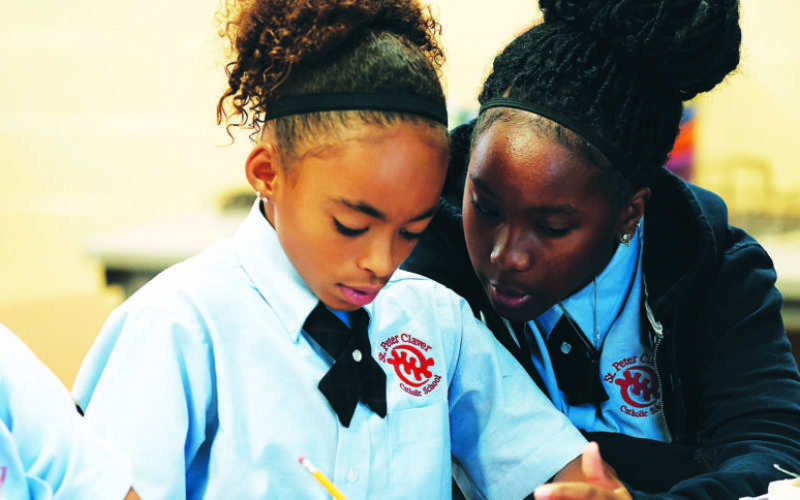 There are many ways to support St. Peter Claver's mission.